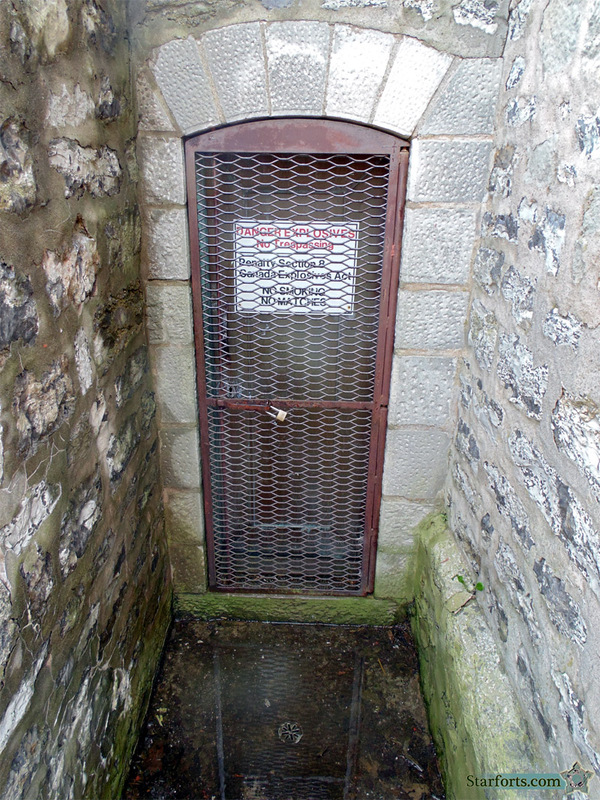 What may be another powder magazine, but one with actual powder still in it? This is in the same spot next to this building, where the powder magazine is located by the other building. Which puts it next to the eastern demibastion, which would explain why the powder magazine into which we were permitted seemed so tiny...it's only one of two. No smoking, no matches. Bonfires? Have at it.